Adental crown is a type of tooth restoration that fully covers the tooth above the gum line. Crowns differ from fillings in that the entire tooth surface is covered by a crown and a filling repairs a portion of a tooth. Once a crown is permanently cemented into place, it becomes the tooth’s new outer surface which functions and is cared for just like a natural tooth. Crowns can be made to match the shade of our patient’s teeth to enhance their beautiful smile. Dentists routinely use crowns to repair and strengthen broken or damaged teeth, or to improve tooth appearance or alignment. Dental crowns may be made of porcelain (or other type of dental ceramic), metal, or a combination of dental ceramic and a metal alloy such as gold. Each of these types of restorations has its own characteristic advantages and disadvantages. 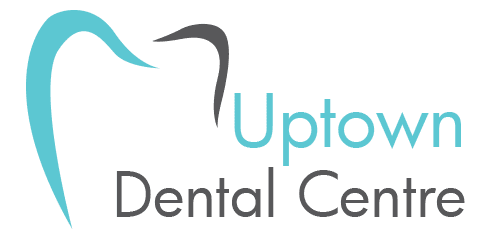 You and your dentist will discuss the different options and together make a determination of the type of crown best suited to your needs. Your dentist might recommend crowning a tooth for a variety of reasons, the most common being to reinforce a cracked or broken tooth and protecting a tooth that has had a large cavity or root canal treatment. Either of these scenarios can leave a tooth weakened and structurally unsound without a protective crown. Other, less obvious reasons might be permanent discoloration of a tooth, or, a tooth that is misaligned in the mouth and a crown can be used to “fix” your smile. Traditionally, if you needed a crown, you would first undergo treatment for tooth decay or damage, and then have impressions taken before they were sent to an off-site lab. That process can mean multiple appointments before your permanent customized crown is ready. In the meantime, you are wearing a temporary filling or crown that requires extra care not to break or pop out while eating or brushing and flossing. 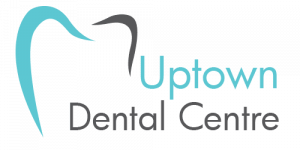 At Uptown Dental Centre in Edmonton we can offer our patients a crown that requires just one appointment. The CEREC® in-office milling system allows our dentists to accurately measure and create your custom crown (or more) in a matter of minutes. With CEREC®, your teeth are digitally scanned to within a tenth of a millimeter and then the crown can often be milled in less than five minutes. In most cases, the crown can be placed the same day with little to no adjustments needed. This process can be especially beneficial for our patients who require multiple crowns as the computer will design everything using digital images of the patient’s bite and current dentition, improving accuracy and placement.